It is Spring Break but apparently no one let the season coordinator know! It is beyond just a bit rainy – to which we are pretty accustomed in Vancouver. No, it is not just rain: it’s cold and sleet and hail and snow, and it seems to be keeping us indoors. Aaaack! For the second day in a row H has declared it is Star Wars Day. He is planning a Star Wars Movie Marathon. I am having a bit of trouble tearing him away from his computer. 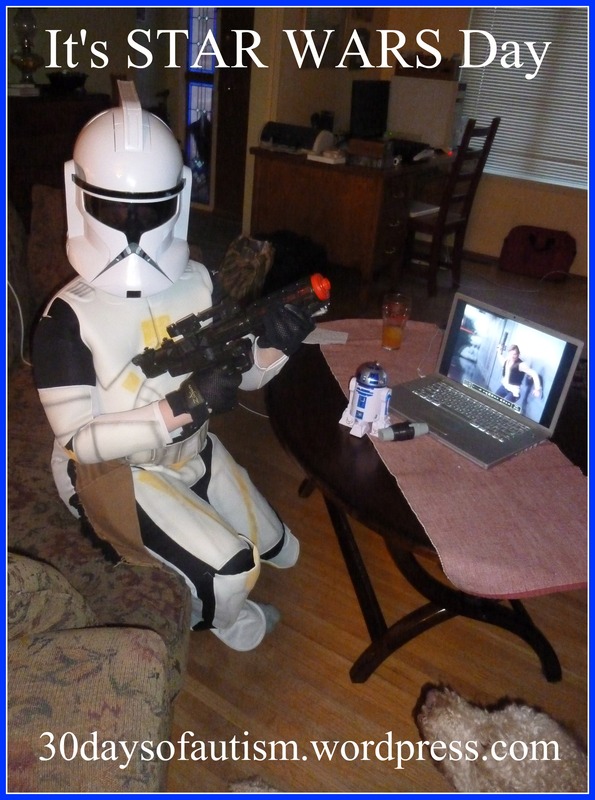 He is loving Star Wars fan films on youtube, and, frankly, I can see the appeal!! My plan is to lure him with the idea of doing a post together. 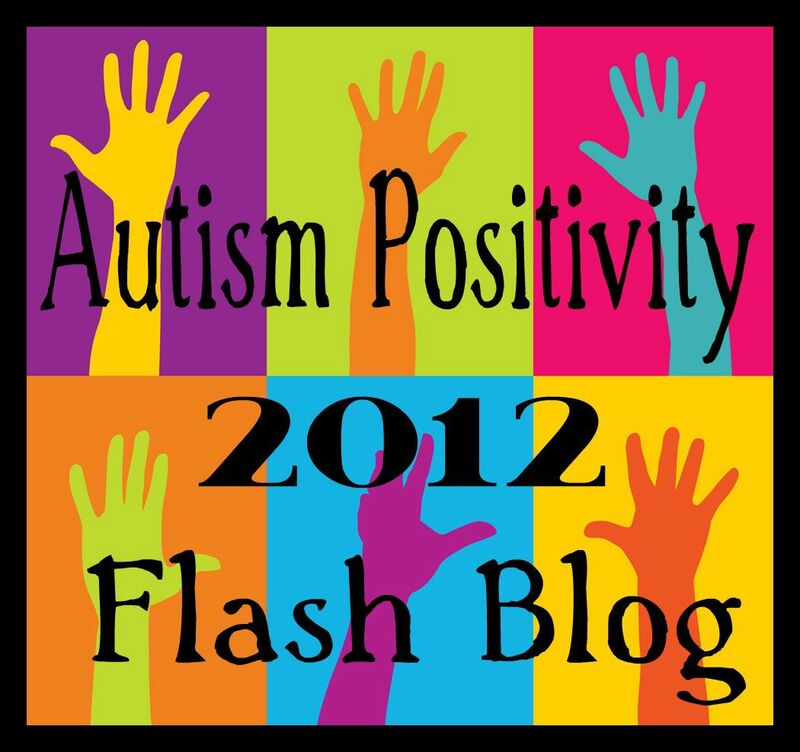 This may not be terribly well thought out – as he is a bit of a reluctant writer – but if we can get over that minor bump – he has some awesome ideas to share. Mom’s note: It will shoot about 90 cm (3 feet). 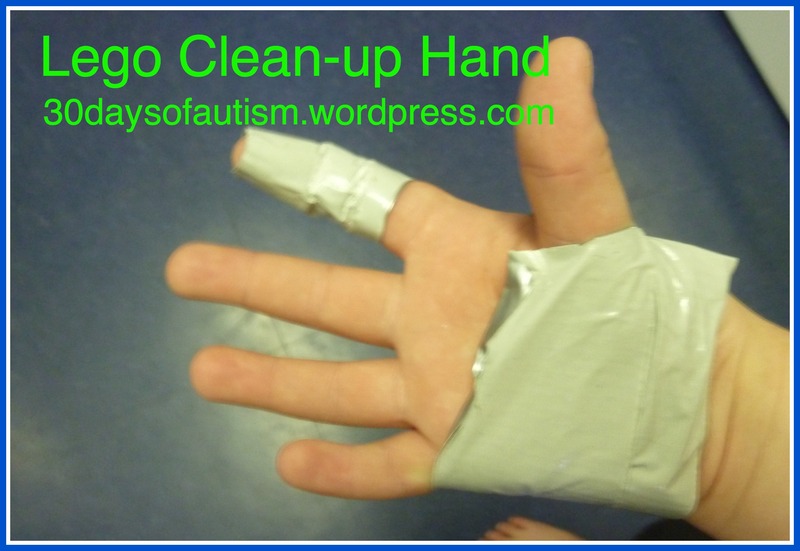 The down-side to Lego is that it can be hard to clean up – and, if you are a parent like me who has ever accidentally stepped on one of the pointy little pieces, I am certain you will agree that the clean-up aspect is of critical importance. It is not terribly efficient – but I think it is rather clever and hilarious! 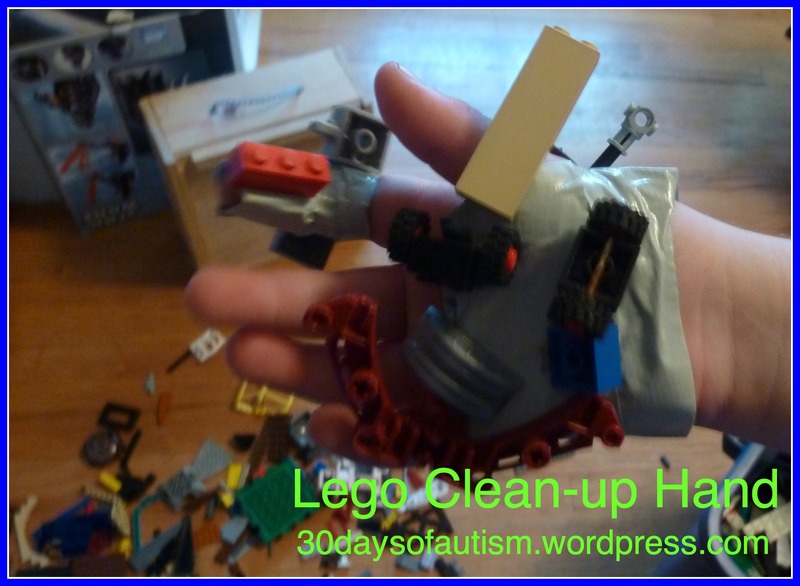 This entry was posted in Autism, internet, Star Wars and tagged A Rainy Day Collaboration, blogging, building, calming activity, Duct Tape, Invention, Lego, Lego Clean-up Hand, Star Wars, Star Wars fan films, StarWars Marathon, Stepping on Lego, Vancouver Rain, video, Youtube. Bookmark the permalink. 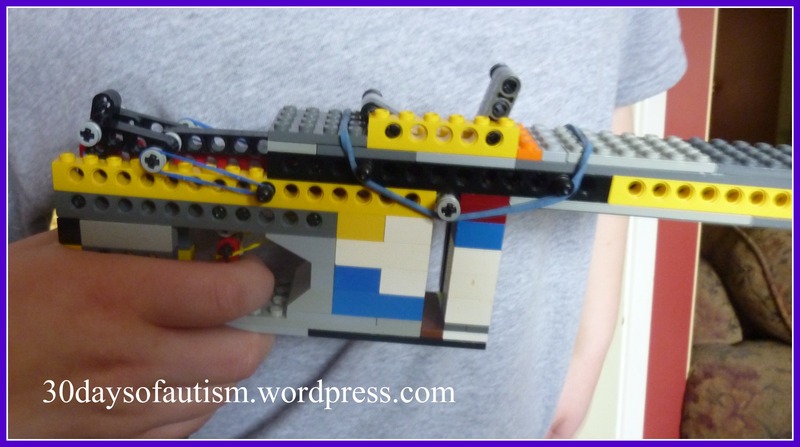 H is ingenious – I am so impressed with the lego gun and the clean up hand – initially I thought the duct tape was for protection – lol! Your comment made my day more sunny as well! Seriously though, I am thinking we may be on to something here! How about: Lego Sticky Socks for clean-up and protection – lol! This is BRILLIANT!!!!!! SIMPLY BRILLIANT!! Love it! I live with young adult guys on the spectrum, and the entire pool table now remains covered with LEGOs, HALO and Transformers. Gave up on playing pool long ago. I love this post! And must try your idea of making a writing collaboration project with my Star Wars-loving, reluctant-writer child. 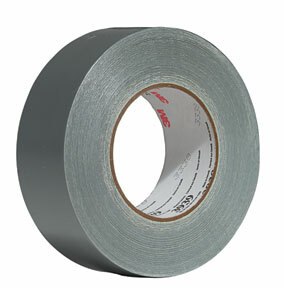 And the duct tape quote is priceless! Oh my goodness!! That would be spectacular! If you do… please come back and link it up here!! Genius. I love your child. That is the most brilliant invention ever.